Hi there! 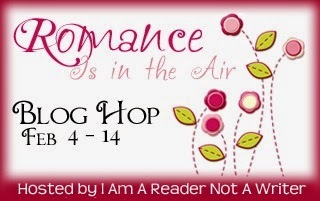 I'm participating in the Romance is in the Air Giveaway Hop hosted by I Am A Reader, Not A Writer. With Valentine's Day approaching, romance is in the air indeed. How are you celebrating this year? Maybe with a special someone (book boyfriend)? I'm giving away a $10 Amazon gift card so you can snag the romance read of your choice. And don't forget to visit the links below for more sweet giveaways!